At the age of nearly forty, Christopher Geraghty stopped dancing with the devil and invited another partner out onto the dance floor. A Catholic priest for nearly fifteen years, Geraghty endured bullying and persecution. This, coupled with a desire for intimacy and belonging, eventually caused Geraghty to turn his back on the priesthood for a chance at love and a family. During the ensuing thirty five years, while learning to dance to a different beat, Geraghty studied law and, for the last 16 years of his professional life, worked as a judge in Sydney. This is a story that is at times painful, sometimes funny, and at times, embarrassing and surprisingly honest. By luck and the grace of God, his story has a happy ending. 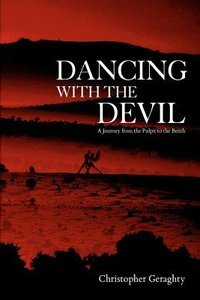 About "Dancing With the Devil"